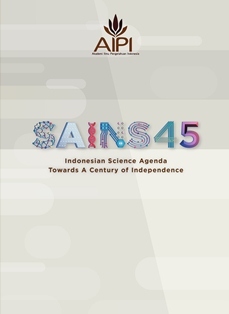 Indonesia 's Science Agenda , SAINS45 , is a thought and the work of young scientists Indonesia . Those who strive to continue to work and give the best for the country, despite the giddiness of the support given by the state to maintain their scientific excellence . This agenda formulation science examines what Indonesia needed to address the challenges facing Indonesia in realizing the ideals of a nation united , sovereign , fair , prosperous , prosperous , superior , competitive and respected world .